We cultivate herbs with fertile soil from Mt. Aso in Kumamoto prefecture which is one of Japan’s foremost natural surrounding areas. Since in order to cultivate the herb, it takes a long time, and needs much effort, we cannot produce the herb in large quantity to be sold at super markets. The herb with its natural fragrance giving off a fantastic scent can be delivered freshly to you directly from the farmer. We are confident that the herb’s fragrance, with its impressive mellow scent, will have an impact upon you. We cultivate the organic herb without any chemicals at the foot of Mt. Aso in Kyushu, which is one of the most well-known mountains in Japan. Mt. Aso represents Kumamoto prefecture, but it is also where the big Kumamoto earthquake occurred. The area has a lot of natural gifts such as fertile soil, and clear spring water, etc.. However, it is also infamous for natural disasters at times. We live with nature while understanding that those kinds of natural accidents sometimes occur. The natural gifts enable us to cultivate the herb that is full of energy. Although we cannot produce the herb in large amounts so as to distribute in the large-scale markets, the herb with its mellow scent is delivered to you directly from us. The natural gifts enable us to cultivate the organic and energized herb with non-chemical fertilizer. because we never use herbicides. 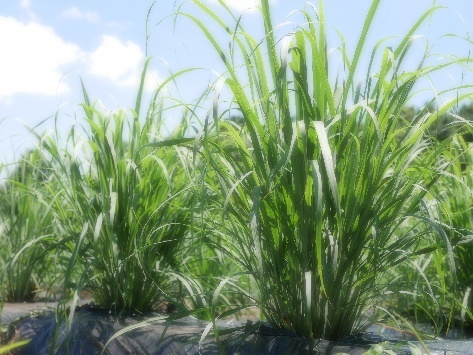 We are sure that you will be mesmerized by the scent of our lemon grass. 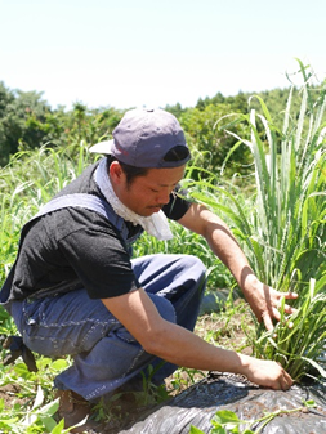 When the big earthquake destroyed the area, the procedure for planting the lemon grass was in progress. So since everyone was hard-pressed by the disaster, we only had a few laborers to help us. However an owner of a bar, neighbors, and local children helped us to plant the lemon grass as volunteers. This community of local people supporting the young plants enabled the lemon grass to be harvested in 2017. I had wanted to run my own business in a large city. After the disaster, my desire to contribute to the area had increased, and now I try to make Kumamoto more energetic with the local people. 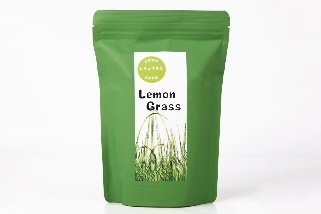 Our lemon grass tea is totally made by ourselves. We produce, process, and sell it. 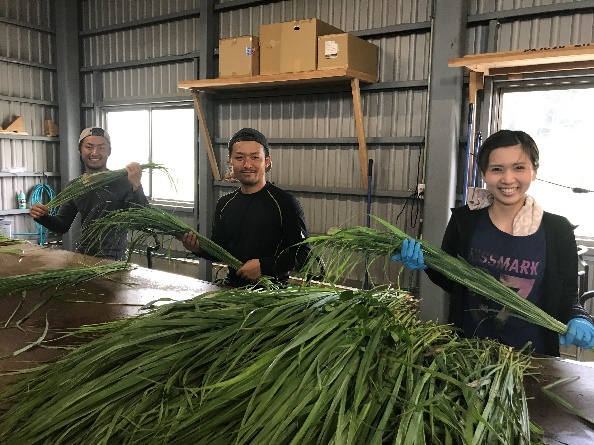 And within 24 hours after picking, we finish the process– 「strictly select the lemon grass」「wash it」「cut it」「dry them」「and Vacuum pack them」. 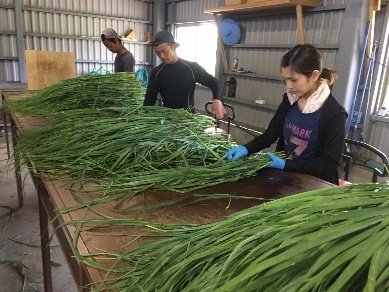 Since the scent of the lemon grass fades away quickly, we have to vacuum pack the lemon grass within an hour after drying them. Even in the case that the procedure of drying is delayed past mid-night by bad weather, we have to take them away from the dryers, and vacuum pack them. Although it’s tough to work in the late night, we feel that adjusting to nature makes it possible to deliver the gifts from nature to you. 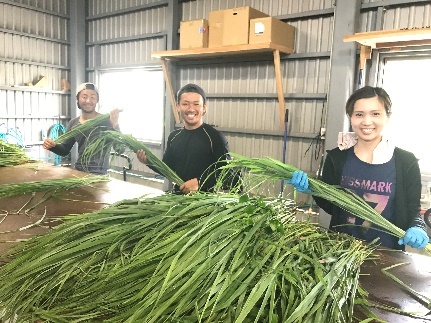 And we hope that our customers will be impressed by our lemon grass. 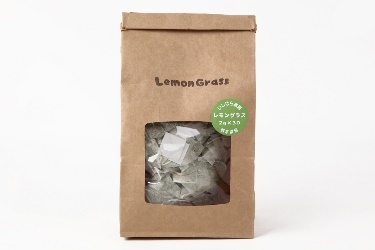 Please try our lemon grass filled with natural energy. Japanese traditional culture is getting more and more diluted as time passes. 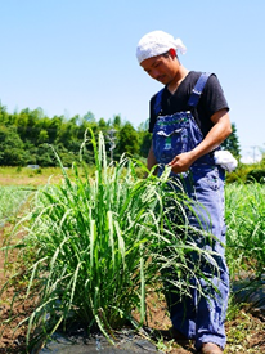 However, we strongly believe that Japanese tradition means to cultivate and deliver the best gifts from nature to people. 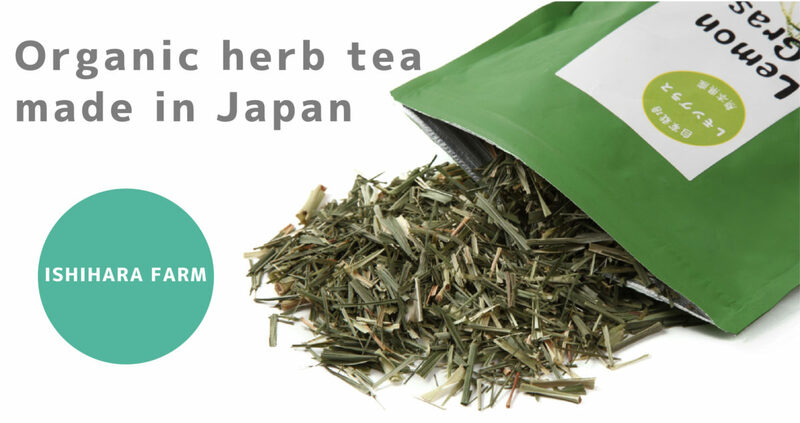 We are really eager to sell the herbs filled with the energy of Mt. Aso, where I was born and brought up, and also would like to increase employment in the local area. With these exciting expectations, we continue our daily routines. Mt. 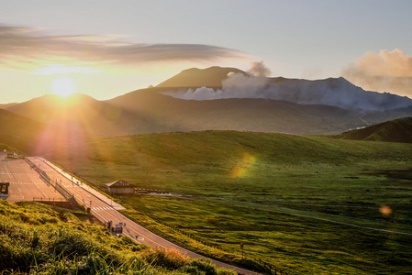 Aso is well known as a tourist spot and visited by people from all over the world. But we know a lot of fantastic spots where only local people know. If you have an opportunity to visit Kumamoto and Mt. Aso, please let us know. We’d love to guide you around the many spots known only by local people. We also sometimes hold workshops for farming. We hope that you will be interested in participating in the planting of lemon grass, weeding of it, and picking lemon grass!! If you place an order, we will directly ship them to you from our farm.